So this month our theme is interconnectedness. Its a wide wide idea to think about. 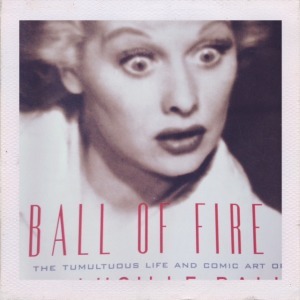 For me this week I saw a parallel between reading about Lucille Balls life in a biography and what I was doing in mine. 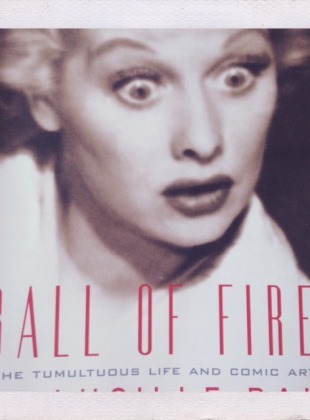 At one time Lucille was a struggling actress in LA, trying to even get herself credited in a movie. There was a moment when they were going to produce a movie of a NY play and she desperately wanted an audition. But couldn’t get a foot in the door for a meeting for love nor money. An exec suggested that she try to get in the regional theater tour of the play, get good reviews and then she could possibly get an audition. She did it. She got into the play which opened in New Jersey and then transferred to Washington DC and was destined for NYC but never made it as the lead actor suddenly died. Anyway she got good reviews, came back to LA and got an audition and the part. It must have seemed crazy to leave the place where she was trying to get noticed by going to almost the furthest flung other side of the country to do a play where she had no idea that she would get a good review in. Especially as that time where journeys were made in trains and took days so being so far away from the action of Hollywood could have felt like you were dropping off the other side of the world. It seems like although she wanted to get to point A she went a round about way rather than what could have been perceived as the most direct route. I guess thats what Chanel meant when she said “don’t spend time beating a wall, hoping to transform it into a door”. If your original plan isn’t working then take another route to get there as long as you keep the end destination in sight you maybe better off than just banging away at the same closed door. I took a risk this week and started a Vlog as myself, not as my character Tallulah from Feathers and Toast. It was scary and I felt very vulnerable as I took my first step into being ‘real’ publicly. It felt as though I was going away from what my end goal is which is to get my show on TV. But in actual fact it might just be my Lucille Ball NJ moment. When I was at school in Paris we worked with the neutral mask. The neutral mask is exactly what the name implies, its a leather mask without any emotion. We worked with the mask for 2 months, the point being to become aware of your every movement, to become physically economic. Essentially to transform your physical self into a blank canvas. We worked on the journey of the neutral mask, moving out of the ocean, across a beach, through a forest, up a mountain down the mountain across a river and running across a desert, where you then sit and watch the sunset. The journey represents your life. It also illustrates the need to keep moving as life is always about movement. In one class the teacher asked a student to put on the mask and just do the bit where you have to cross the river by jumping over stones to get to the other side. She put the mask on and looked down at each single stone and jumped, and eventually got to the other side. The teacher said this is someone who will never achieve her ambition as she only looks down and not up at where she is going. This so marked me and came to my mind again this week, with the Lucille Ball story and my own departure from my path of comfort. Maybe this vlog is a stone left or right of where I want to go but we have to move forward and with my eyes on the goal I am trusting I’m being led towards it. Will keep you posted.